Welcome! Whether you're looking for a story or something to create with your hands, I hope you'll discover some inspiration while you're here. You'll find my novels carry messages of hope, redemption, forgiveness, faith, and truth. Touches of romance and humor, intertwined with intrigue, suspense, and unexpected twists, are intended to lift your spirit and to direct your eyes and heart to our Creator. July 1968, South Vietnam. Greg Merrick’s stint in the jungles of Vietnam makes the prospect of working in the Logan coalfields a heap more appealing than it did before he enlisted. He’s learned to cope with fatigue, violence, and cruelty, but fears his survival methods will stalk him as long as the memories linger. Forever changed, he returns to an unrecognizable place where transplanted hippies and war-weary folks went on with life . . . without him. March 2010, Logan, West Virginia. Gina White rides a pretty high, self-righteous horse when it comes to people who abuse drugs. She’s lost count of those who’ve buried loved ones or watched them destroy their lives. The use of substances for medical purposes sounds like unfounded hogwash to her—until the benefactor is someone she loves more than life. And so, she weighs the risk. 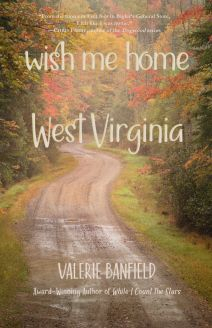 West Virginia High, the third novel penned by Valerie Banfield and Sue Copeland is sure to tug at your heartstrings while it takes you back in time. From Vietnam, coal fields, and hippie culture to the era that took American soldiers to the Mideast, and to the present day drug crises that impacts every thread of American society. Pick up a copy, if you will, and sit a spell as we take you to the hills and hollows. See the West Virginia Tales tab for more Mountain State offerings. 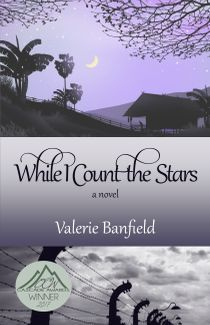 While I Count the Stars won the Cascade Award in Historical Fiction. One of the judges stated, "I am speechless with how much I loved this book." Savannah and Micah: two imperfect people; an unlikely pairing. As WWII’s firestorm engulfs Costa Rica, will hasty promises prove too costly to uphold? May, 1950. The pianist and the linguist, a perfect pairing. Their future is made in the shade. The Korean War? Not to worry...the troops will be home by Christmas. 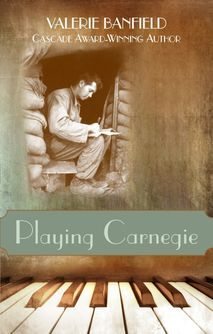 5-Star Review Excerpt: Playing Carnegie is down home and global. I became totally invested in the young heroine and her knight in not so shiny armor. The storyteller is a master at keeping you turning pages. This tale is delightful. Valerie's books are available in paperback and eBook formats. Visit the BOOK PAGE to see all of your shopping options. Beneath the Healing Rain. What's a little shortcut . . . when it leads to a prize . . . that promises so much more than the risk? Signs of Life. So much for starting over. The business is failing, the relocation a disaster. The overzealous cop's trumped up accusations stoke the misery. Is anyone in control here? While I Count the Stars. With any luck, Savannah will find the solution to her dilemma. How hard can it be? She only needs one suitable man. At the same time he shows up, the shadow of World War II descends upon the peaceful Costa Rican countryside. Will the conflict tear their world apart or will love abide all things? Sidetracked: If Yesterday Steals Tomorrow. Where does Nate go when life throws him off course? Where can Sammi run when depression and fear lurk around every corner? Join their unimaginable journeys as they venture through seasons in their lives that neither anticipated nor wanted. Amazon review: "God is the engineer and He always brings the train into the station right on time." Anchored: A Lamp in the Storm is my first work of historical fiction. "Watch therefore, for you know neither the day nor the hour." Matthew 25:13. When the tempest roars, which path will you choose? Gifted: A Basket Weaver's Tale. First, Alzheimer's Disease intrudes on Connie's world; then, a stranger pulls her into his deceitful scheme. Honor and integrity carry a price. What is the cost of their redemption?